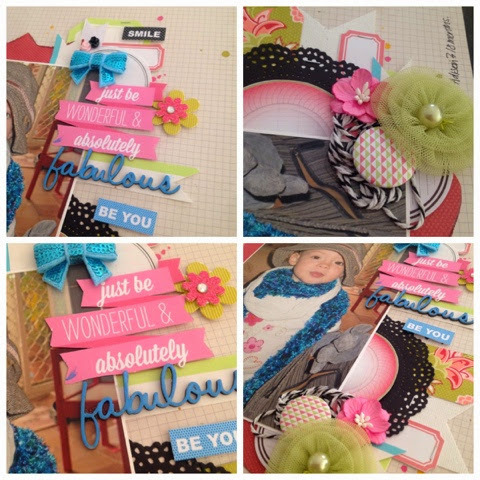 scrappinwithjanet.. : D-lish scraps October Challenge - Simply Fabulous! 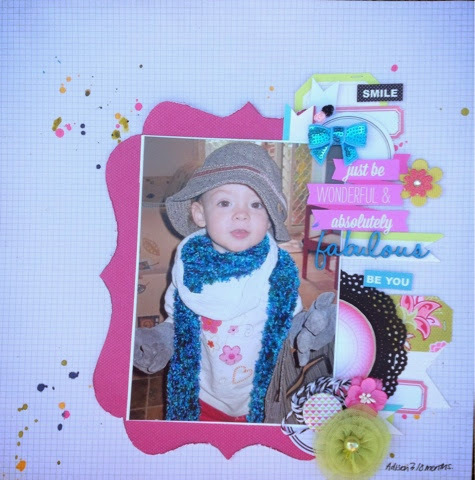 D-lish scraps October Challenge - Simply Fabulous! It was a no brainer when I got the 'juad add paper' kit in the mail on what I was doing with it. The perfect pic of my daughter at 18months - she's now 7! PL Card for the 'just be wonderful and absolutely' words (cut it from the card). I dont know what core kit it was from. Various tags and papers from my stash. This looks so cute Janet, love the bracket frame under your photo!! Thanks for joining in with the D-Lish Mood board challenge this month too! Such a sweet beautiful page! Loving the shaped photo matt! Thanks for joining in at D-lish this month!